Seems a good deal to me.. Was looking to buy from Wickes at the weekend when they had 15% off, but the price was £19.99 . Did click and collect for free. Yes, you're right :-) Hadn't found this on offer when I was trawling through the internet. That said, my Wilko's in the town centre and I'd prefer not to lug these round particularly when I ordered 4! I could just pull the car up to click and collect at Tesco and throw them in the boot. 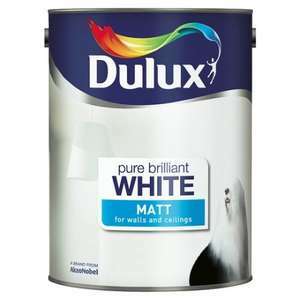 Wouldn't bother unless its Dulux Trade , takes loads of coats to cover . Wickes paint is much better..